Bill Cook, who wrote this number, was Roy Hamilton's manager. 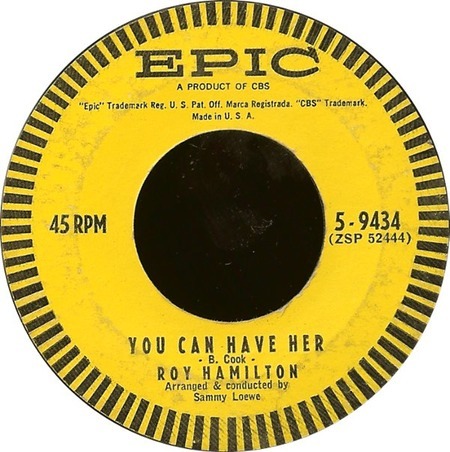 This was Roy Hamilton's last hit. He recorded it on 28 November 1960 and it was released together with "Abide With Me," also written by Cook, on Epic 9434 in late 1960 or early 1961. Hamilton died in 1969, aged just 40, following a stroke. He was a great influence on numerous performers, including Jackie Wilson, Roy Brown and The Righteous Brothers. The version by Elvis was sung during the afternoon show at the Forum, Inglewood, Los Angeles, on 11 May 1974, where it was recorded by a member of the audience.